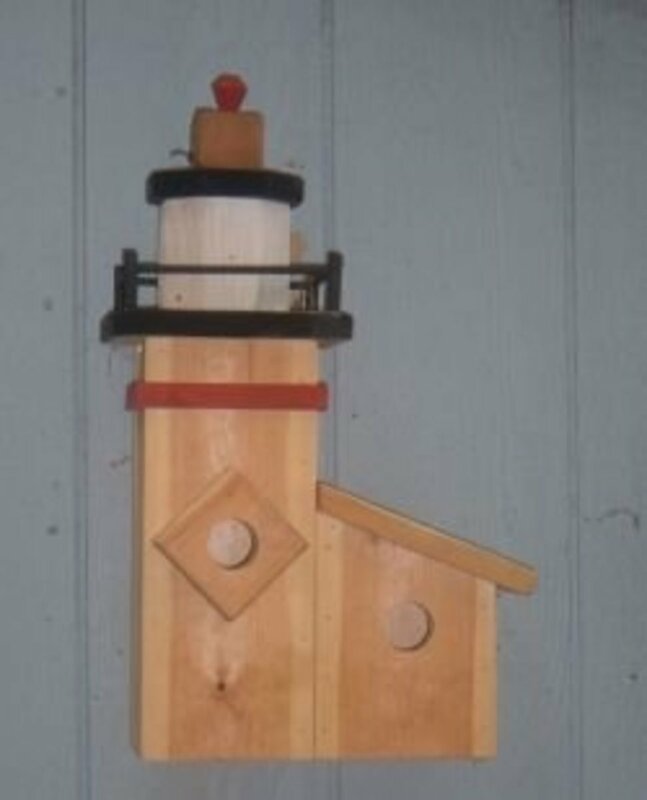 Building a ladybug house is easy project that combines my gardening and woodworking hobbies into a fun and functional addition to our garden. 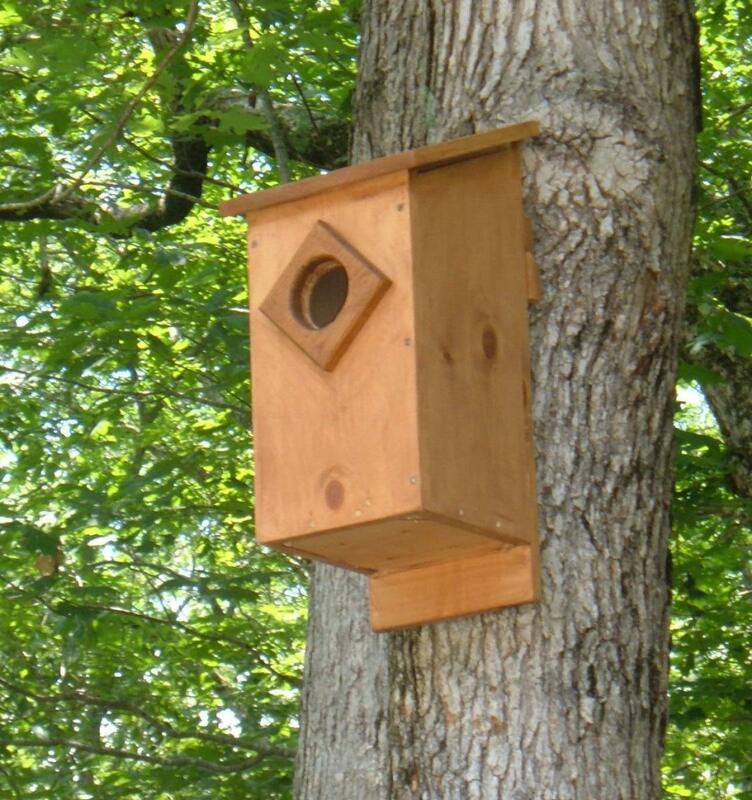 Essentially a simple six-sided box, this house offers the little beetles with shelter from the rain and wind as well as protection from birds and other predators. 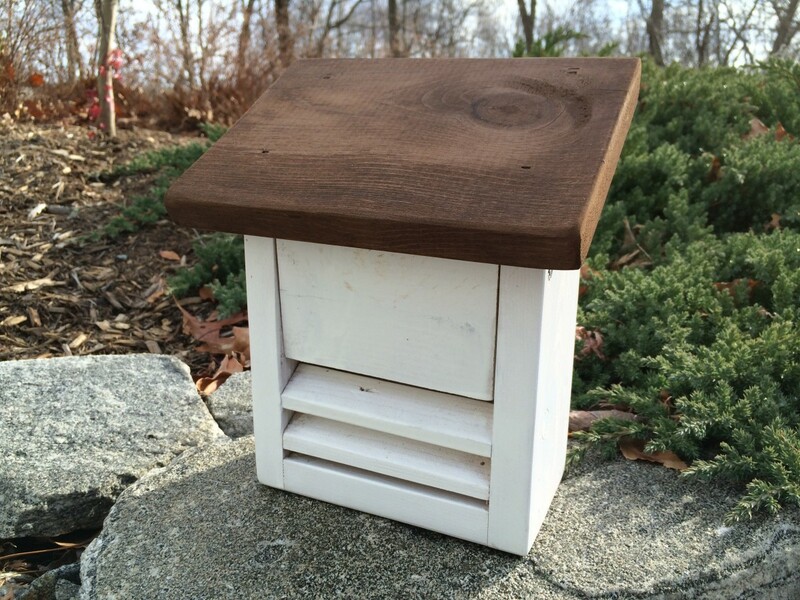 The finished bug box can be left to weather naturally or painted in bright colors. 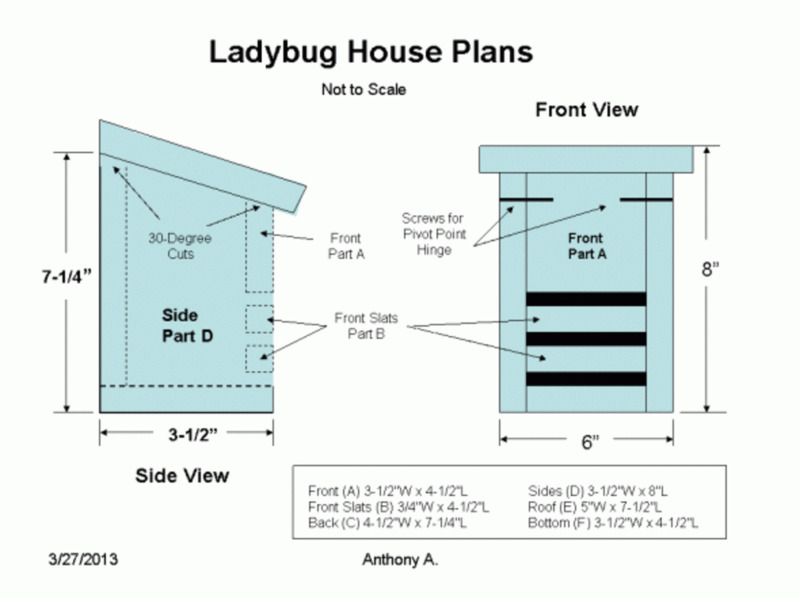 Either way, the ladybug shelter is an attractive and useful addition to any garden. 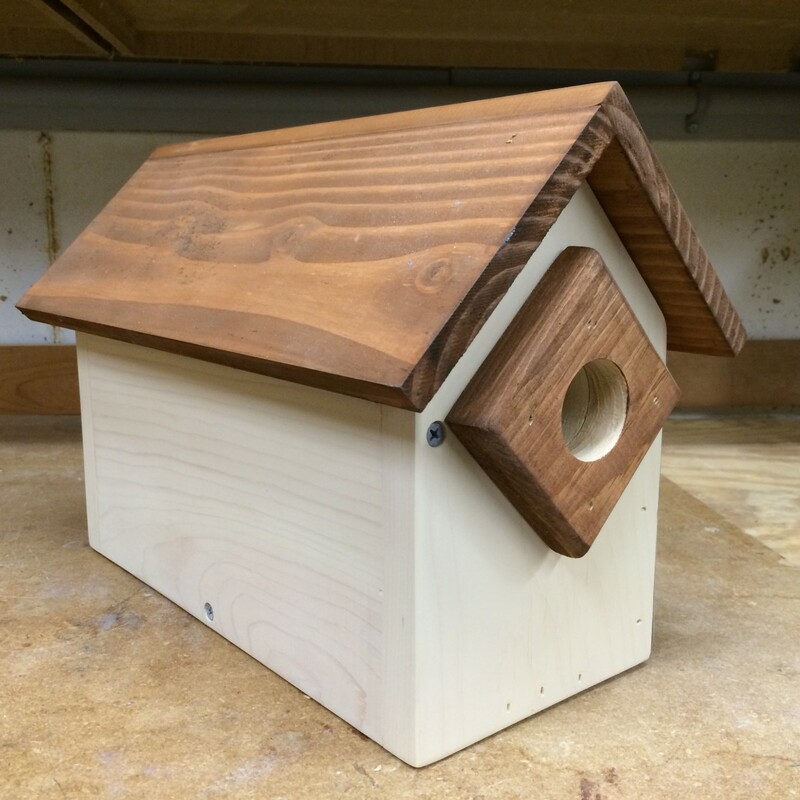 The simple design makes this an easy-to-build project that is perfectly suited for pieces of scrap wood or recycled lumber. I used a few pieces of pine that I found after rummaging through my scrap bin, and it took less than an hour to build. A fun and inexpensive project for building with the kids, the finished beetle box is a nice handcrafted and personalized gift for your favorite gardener. 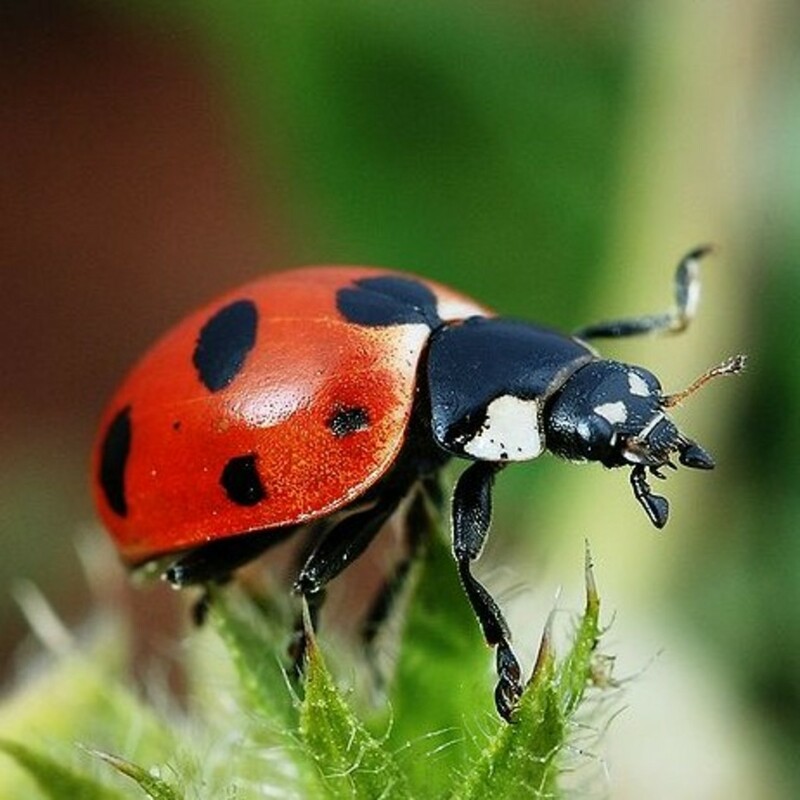 Good bugs to have in the garden, ladybugs are also known as lady beetles and ladybird beetle. Despite their cute appearance, these beneficial insects are voracious predators with an insatiable appetite for aphids and other soft-bodied insect pests. An adult ladybug is a gardener's friend, chowing down on over 50 aphids every day. To build the bug house, start by laying out the dimensions in the cutting list to several pieces of pine. The top of the side pieces (D) are cut at a 30 degree angle to create an angled roof to help shed rainwater from the box. To match the slope of the roof, the top edge of the front (A) and back (C) pieces are also cut at a 30-degree angle. Cut the roof (E) to size, again beveling the back edge of the roof at the same 30-degrees to match the angles of the front, back and side pieces. When assembled, the angled cuts support the slanted roof to give the lady beetle house a neat and finished appearance. 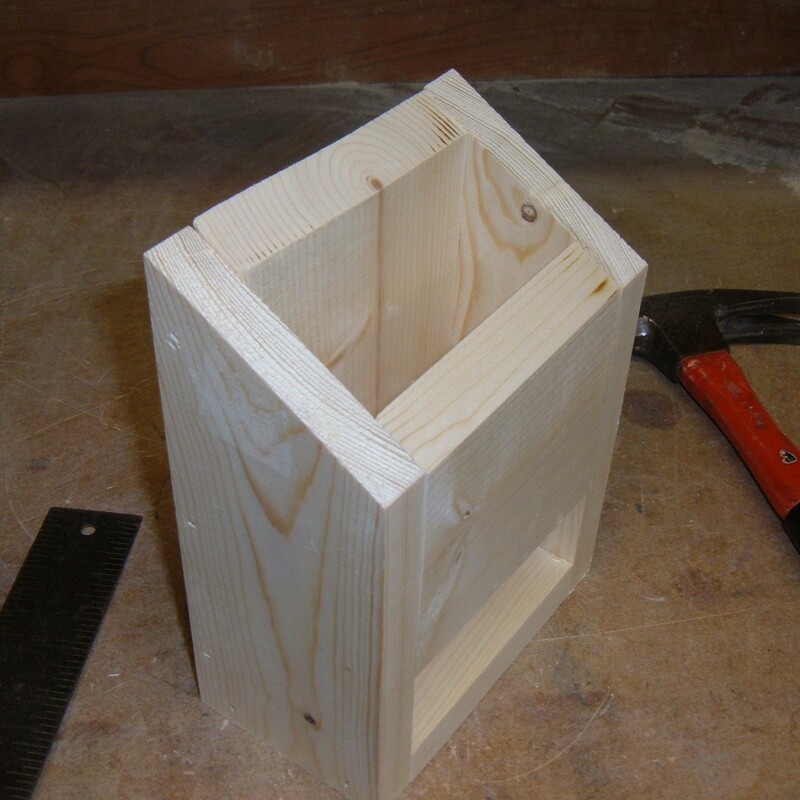 Begin the assembly of the bug box by attaching the side pieces to the bottom section. I used weather-resistance nails with a dab of waterproof glue to secure each of the pieces together. Slide the back section into place, and secure it with more glue and nails. The front section is attached with (2) weather-resistant screws. The placement of the screws is important: measure down 3/4" from the top edge of the front, then drive the screws through the Side piece and into the front section. Position the screws directly across from each other, and only tighten the screws enough to hold the front piece in place. The careful placement of the screws allows the front section to pivot, creating a simple "hinge" as shown in the photo to provide access to the interior of the shelter for cleaning or inserting ladybug lures to attract occupants to the ladybug shelter. 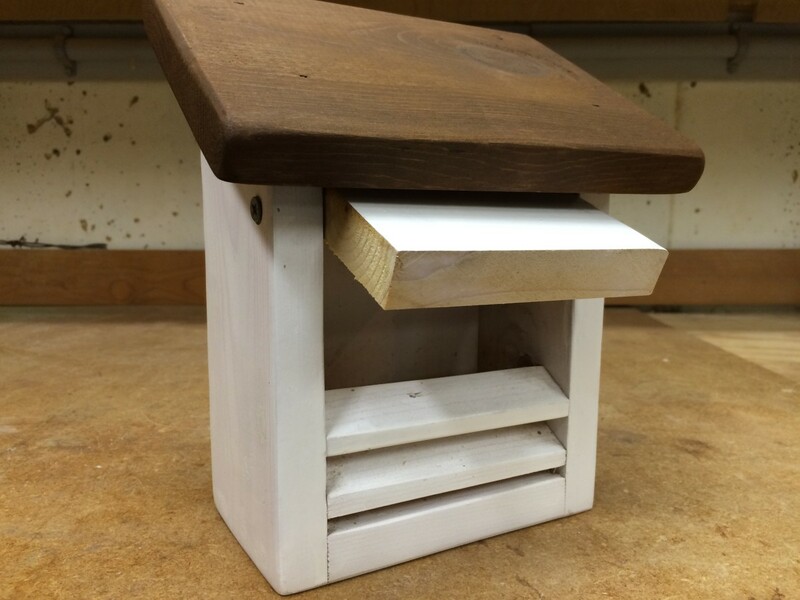 Attach the front slats (B) to the shelter, positioning the slats under the front section to form three equally spaced openings for the little beetles to enter the box. 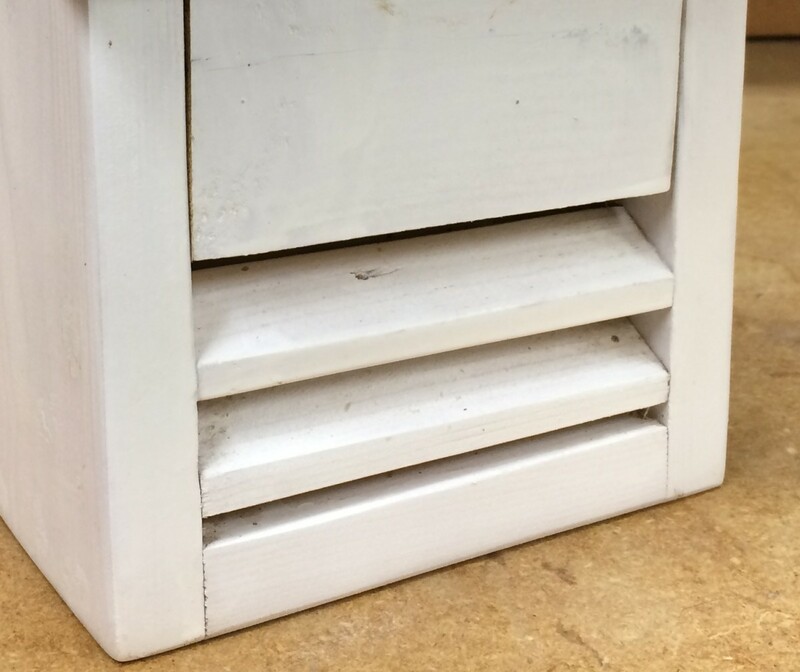 I used the cut-offs from the beveled angled cuts for the back and front sections to make the slats, and I attached the slats to the inside of the box with a bit of glue and a nail. Be careful not to split the slats when driving the nails through the side pieces to hold them in place. The last step is to attach the roof (E). Line up the bevel cut along the back edge of the roof, positioning the roofline so that it extends equally over both sides. 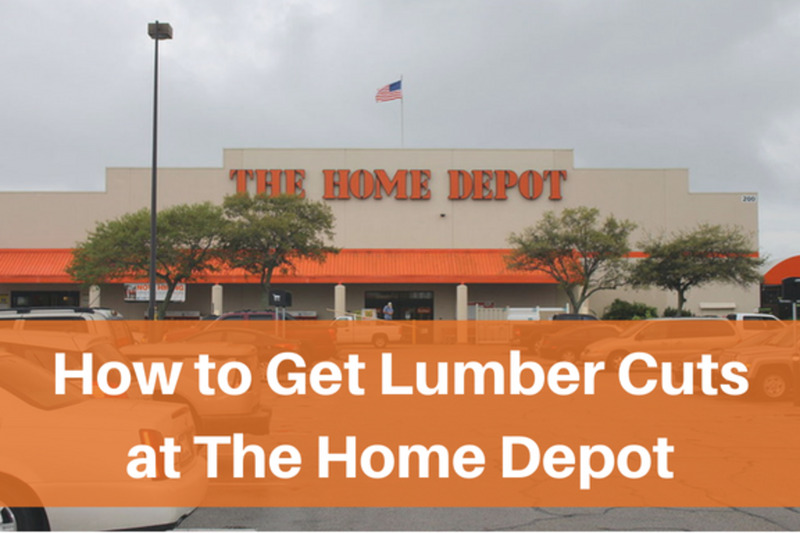 Attach the roof with a few more weather-proof nails. 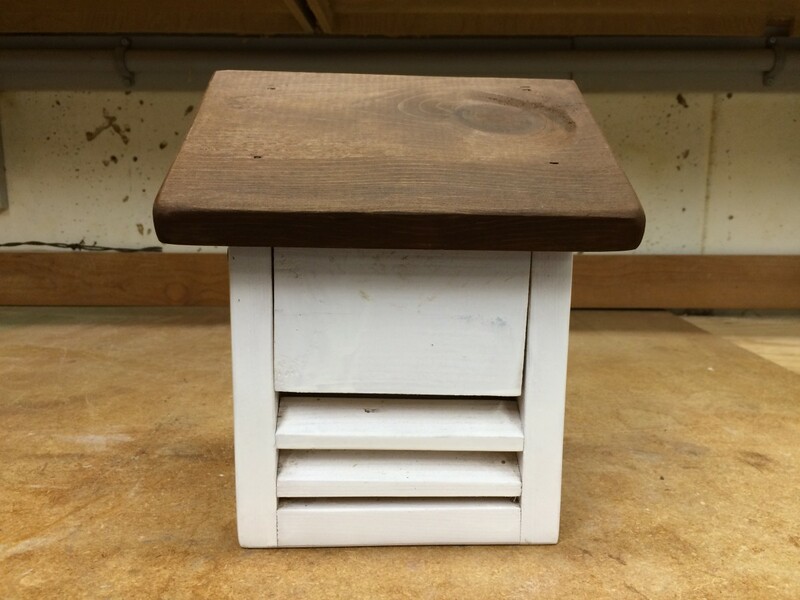 Give the bug box a light sanding to remove any saw marks and to ease the corners. Your new ladybug house is now ready for the garden or if you prefer, paint or stain the house to make it stand out among the flowers. I chose a walnut stain for a medium-brown colored roof, and painted the rest of the house white with an exterior aerosol spray paint. Mount the finished ladybug house in a sunny garden location, between one to three feet above the ground. I used a simple picture frame hanger, tacked to the back of the box with a couple of small nails, and I'll mount the box to a post in the garden. 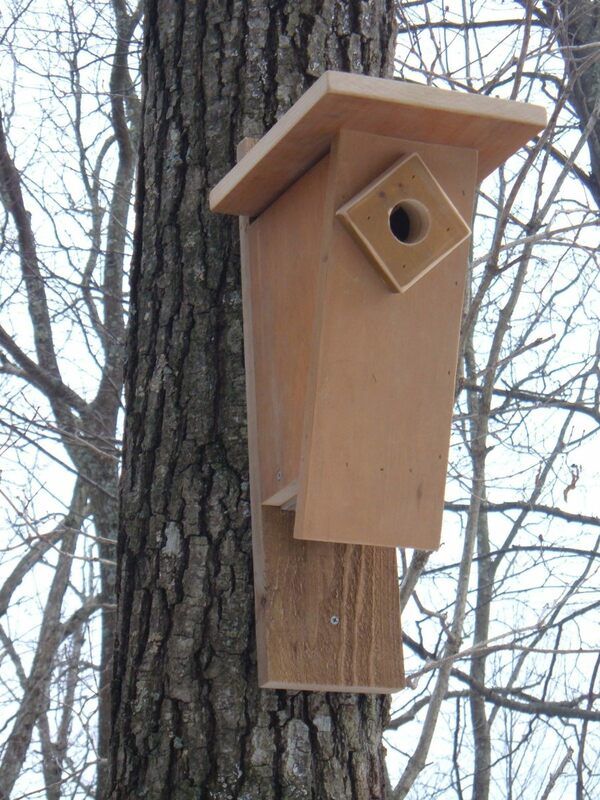 Add a ladybug lure and a bit of straw or crumpled leaves to the interior, and the house is ready for occupancy. Have You Seen Ladybugs In Your Garden? Yeah but they get into the house. What a nuisance! Ladybugs forage endlessly in search of food and suitable places to breed. 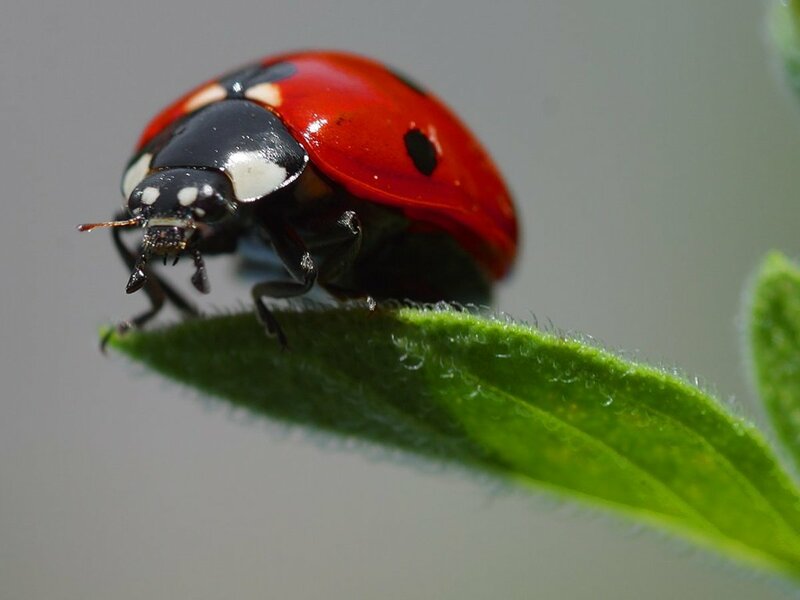 If you have a population of aphids attacking the plants in your garden, then you have one of the key ingredients to attract the attention of the local ladybugs. 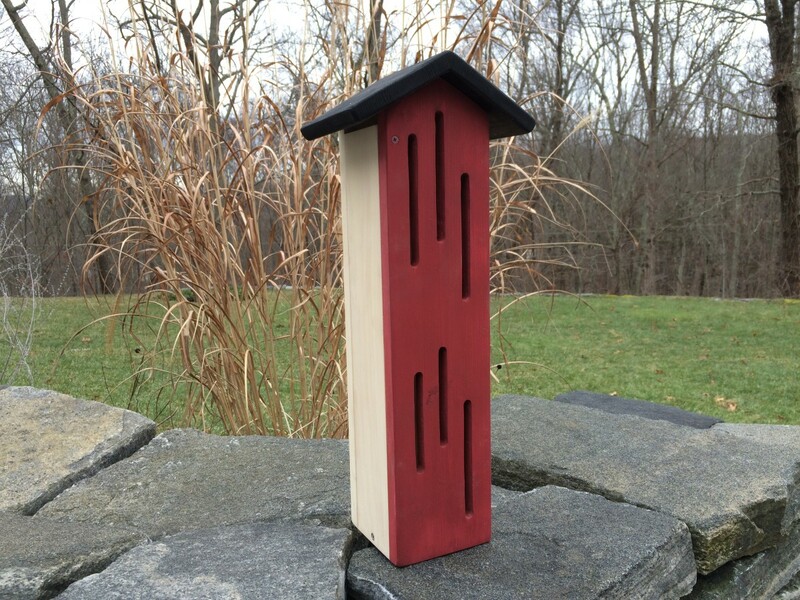 A ladybug house won't attract a colony of ladybugs, and it may not even be enough to entice them to stay. 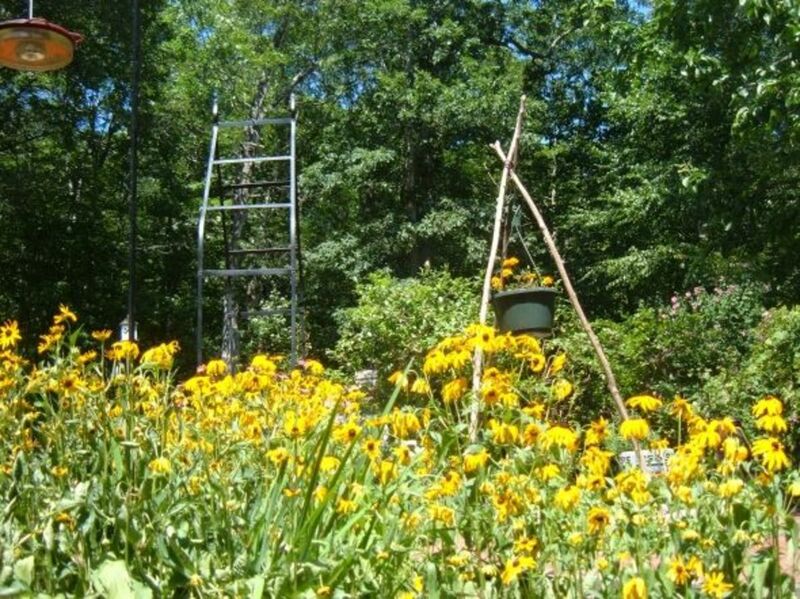 A wildlife friendly garden combines a variety of plants including native perennials and shrubs along with the colorful annuals and tasty veggies. So you have lots of flowers and shrubs, a plague of aphids is sucking the life juices from the leaves, but there are no ladybugs to be found? Try releasing a thousand or so hungry ladybugs into the garden. Ladybugs are raised commercially, and they ship well through the mail. If you've provided the right environment, a package of ladybugs might start a new colony that will protect your garden for several of their generations. Do Not Use Pesticides in the Garden! And getting them to stay. Now that you've ordered your ladybugs and the package arrives filled with the lively little critters, it's time to release them into the garden where they will feast on aphids and other bad bugs. But how can you increase the chances of a successful release? Here are a few tips for releasing ladybugs safely, and getting them to stay. When the package of ladybugs arrives in the mail, temporarily store the little beetles in the refrigerator. Plan on releasing your ladybugs in the early evening, preferably on a calm evening without a lot of wind. Ladybugs do not fly at night and when set free, they will quickly look for a sheltered spot to rest until the next morning. Water the plants in the Release Area. After a long trip through the mail, the ladybugs will need to quench their thirst. This short video by Growing Your Greens give three easy steps for releasing ladybugs and enticing them to stay in your garden. * Ladybugs are among the most familiar and easily recognized insect. Most species of ladybugs have shiny red, orange or yellow shells with black spots. Some types of ladybugs have shiny black shells with red or yellow spots. * There are about 5,000 different species of ladybugs found around the world, and there are at least 400 different species of ladybugs in North America. * Most species of ladybugs complete their life cycle in less than a year, though some ladybug species can live up to three years. * A female ladybug is larger than a male ladybug. * You cannot tell the age of a ladybug by the number of spots on its back. * Many cultures value ladybugs as a sign of good luck. * During its lifetime, a ladybug can eat almost 5,000 aphids. * Ladybugs were sent into space! Four ladybugs traveled aboard the space shuttle to see how they capture their prey in zero-gravity. All four ladybugs survived the mission. 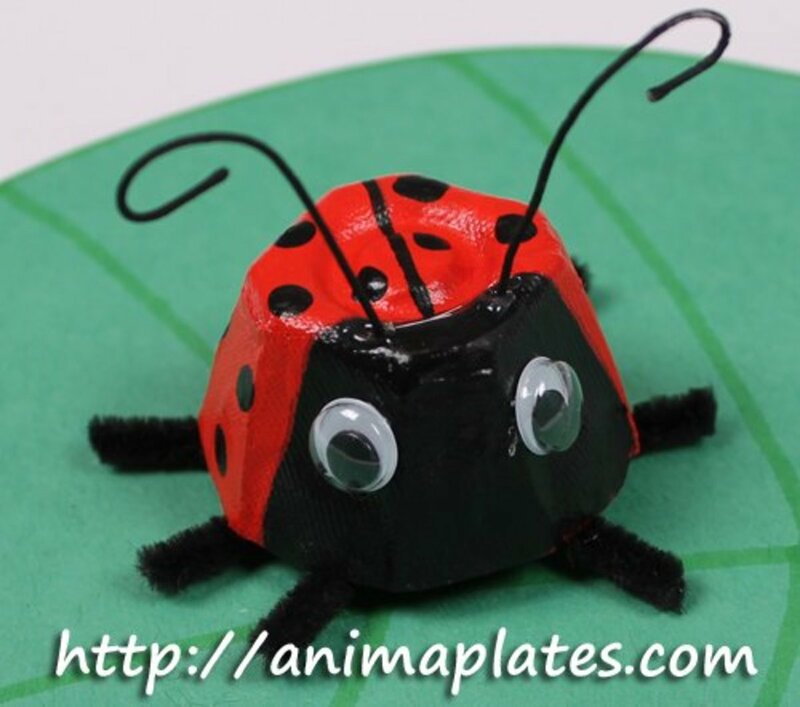 * Ladybugs are active in spring and summer. As the cold weather approaches, ladybugs seek sheltered areas to hibernate, including inside our homes! Hibernating colonies can number thousands of ladybugs. * Legends say that the name 'ladybug' originated from early farmers who prayed to the Virgin Mary for help with the pests that plagued their crops. After the beetles ate all of the pesky insects, the farmer coined the name "Beetle of Our Lady". Over time, this evolved in lady beetle and ladybug. Help! I think that what we thought were ladybug are actually Asian beetles. They're hurting our established trees and I'm worried about them getting in the house after the fall. How can we get rid of the bad bugs without harming good ladybugs? The Asian beetles are a problem in many areas. Some of these bad bugs move into our house too as the temperature drops in the fall. Maybe some other readers might have suggestions that they can add to the Comments section for dealing with these annoying and invasive pests. Lady bugs, bees, and butterflies are my favorite creatures. During 3 seasons i always have several watering plates in my yard, but never thought to build shelter beyond bird houses. Great idea. I have tons of Asian ladybugs collecting in corners in my house. I love them in the garden, but not so much inside. 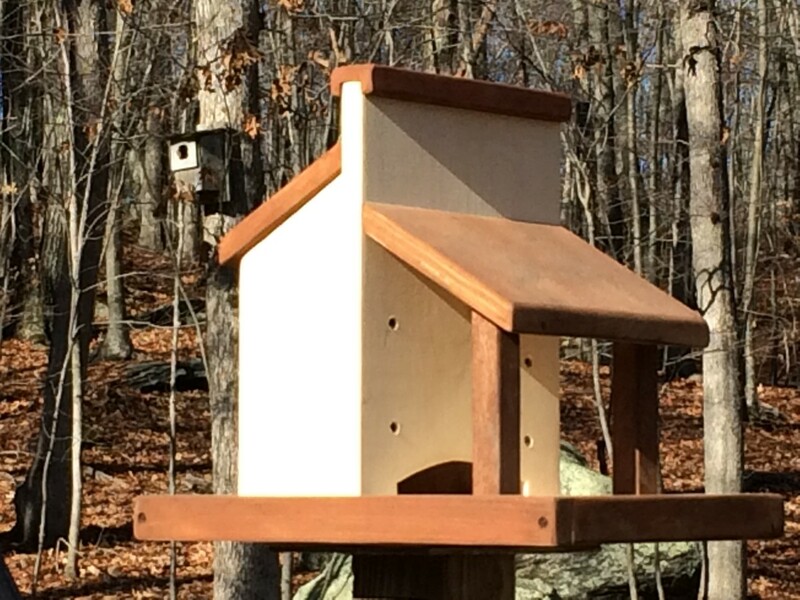 Will providing overwintering houses outside help deter them from overwintering and getting squished inside? Ladybugs are frequent visitors to my backyard so I am going to have to build a house for them now. This is so awesome. To be totally honest, I sucketh at woodworking. But, I love lady bugs and Mr. Vix is getting an email with your URL. He's better at this kind of stuff. Super cute and highly useful project, not to mention a great article. I love your ladybug page and was excited to learn about the ladybug experiment in space. We have a large garden and don't use pesticides. 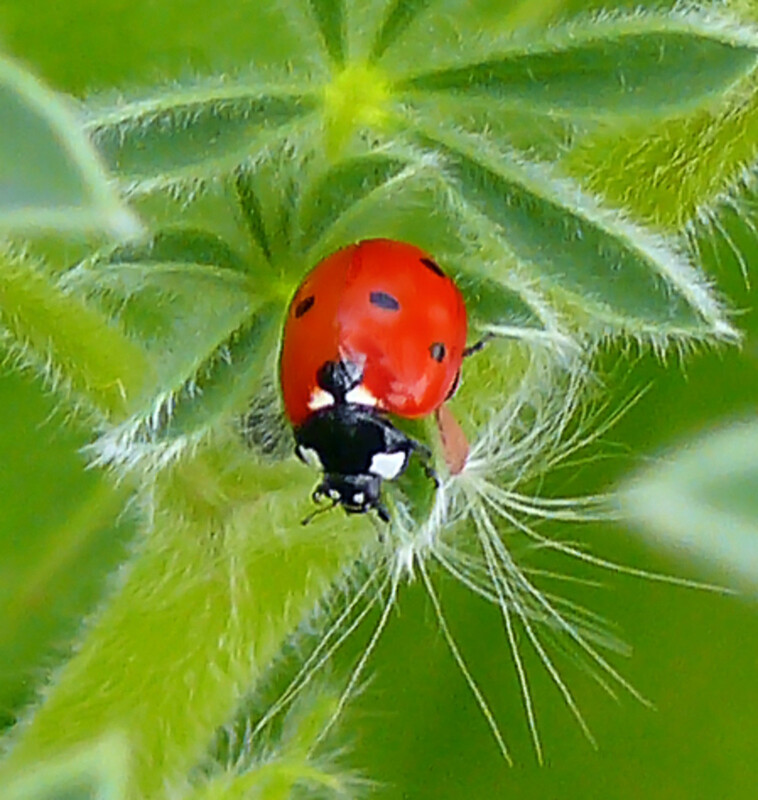 Hopefully your tips will help us lure even more ladybugs this year. We're well stocked with aphids! Love the ladybug house although I doubt I could make one. Great idea. I don't see them as much as I used to. I love the idea of having a bespoke ladybug shelter in the garden, must look into further as I enjoy taking photos of them. Aww I adore ladybugs, and what a neat idea for making a little ladybug house for the garden. I learned something new about the lady bug life cycle that is interesting. I adore ladybugs - every september for some reason there are tons of them on my patio. I've just planted flowers on the patio, now need to add a miniature sized lady bug house.